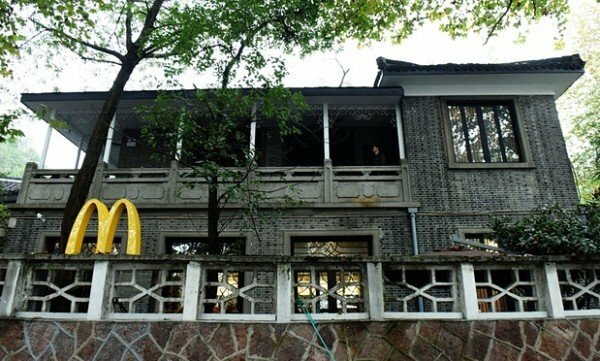 McDonald’s China has sparked controversy after the opening of a outlet in the home of former Taiwanese leader Chiang Ching-kuo in Hangzhou. Conservationists had called for the villa, a cultural heritage site, to be converted into a museum. However, officials said the decision to lease the site to McDonald’s was made because they needed to cover maintenance costs. Chiang Ching-kuo’s grandson and others have voiced their concern over the commercialization of the site. 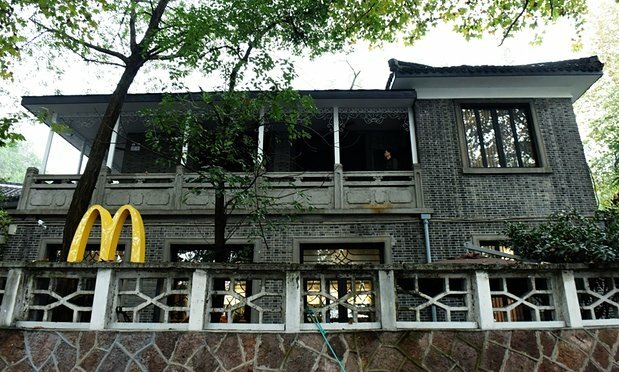 McDonald’s opened the 100-seat McCafe in the lower storey of the villa, situated by Hangzhou’s West Lake tourist attraction, over the weekend. The upper storey, also leased out by officials, houses a Starbucks outlet which opened a month earlier. Chiang Ching-Kuo is the son of revolutionary figure and Taiwanese leader Chiang Kai-shek, who fled to the island in 1949 after the Chinese Civil War. He later become the leader of Taiwan in 1978. Chiang Ching-kuo and his family stayed in the villa from October to November, 1948, and it was designated a cultural heritage site by Hangzhou officials in 2003. The move has been criticized by Chiang Ching-kuo’s grandson, Taiwanese businessman Demos Chiang, on microblogging platform Weibo. “I don’t understand, opening a McDonald’s in the villa… how exactly does that adhere to regulations on correct usage of cultural heritage sites?” he said in a post. In 2000, Beijing saw a similar controversy when a Starbucks outlet opened in the Forbidden City. It shut in 2007 after officials decided to merge and cut down the number of shops in the palace, following multiple protests over the years about the commercialization of the site. According to Beijing Youth Daily, the decision to commercially lease out the villa was met with strong resistance, with more than 90% attendees at a public consultation in January voting against it. Conservationists suggested that the villa be turned into a historical museum promoting China-Taiwan ties. One of them, Zhejiang University academic Zhou Fuduo, noted that the villa was a symbol of China and Taiwan’s shared history. “We said that the villa’s sociocultural value outstrips its commercial value, but in the end our proposal was ignored,” he told the paper. However, officials pointed out that the local government needed money to recoup the cost of maintaining the building throughout the years.